At a recent rally to shut down Melbourne, held by Warriors of the Aboriginal Resistance in solidarity with Western Australian Aboriginal communities under threat of closure, a non-Indigenous member of the crowd suddenly took to the stage and spoke passionately about the need for white people to ‘do something’ about ‘the situation’ of Aboriginal people in Australia. The atmosphere became uncomfortable. It looked like the speaker had taken the stage without asking. Standing between them and the line of police backing onto Spring Street, a lot of us were exchanging nervous glances. The speaker ended by putting their fist into the air and shouting, ‘Not in my name!’ Someone from the crowd called back, ‘No more white voices!’ Then another voice behind the speaker could be heard, a non-Indigenous person saying under their breath to a friend, ‘That’s not very productive, don’t alienate your target audience. Alienation, conflict, bitterness and tears often mark non-Indigenous activists’ relationships to Indigenous people and movements. 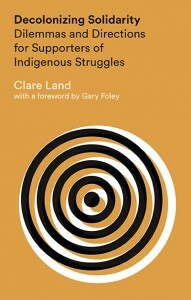 Clare Land’s Decolonizing Solidarity (2015) examines this difficult terrain, and the spaces between Aboriginal aspirations and non-Aboriginal supporters. The book cleverly blends personal reflection, interviews, history and recent work in critical whiteness studies. The book is an ethical and practical response to long-standing contradictions in attempts at solidarity between non-Indigenous and Indigenous people. As Gary Foley states in his introduction to the book, ‘many of the most difficult conversations’ he has had are with ‘people who insisted that they were supporters of the Aboriginal struggle’ (our emphasis), not opponents. As educators who engage in the work of creating a space for non-Indigenous people within the framework of Indigenous studies, the complexity of Foley’s opening statements resonated with us. Throughout their lives, non-Indigenous Australians often remain largely ignorant of the history and present realities of Indigenous Australia. As they are exposed to this knowledge, they experience a range of emotions and reactions, including a desire for belonging, a need to ‘help’ and deep anxieties about their roles in shifting power dynamics. Many of the questions that are scrutinised in Land’s expansive account of non-Indigenous activists’ motivations and practices: What is the role of non-Indigenous people in Indigenous affairs? How can non-Indigenous people truly be effective allies for Indigenous issues? I had first seen Indigenous people as doing the ‘easier’ job of challenging, and non-Indigenous people the ‘harder’ job of interpreting these challenges and ‘sticking around’ despite the criticism. 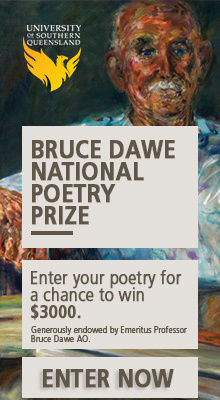 The need to challenge – usually done in a studiously encouraging way – is borne, of course, from the pain of dealing with supporters’ ‘whitely’ ways, ways of relating that are dominated by white stereotypes of Indigenous people. For Indigenous people who have shared activist space with non-Indigenous people – and spent long hours with friends, partners, employees, students, strangers, and ‘allies’ talking out issues of solidarity and ‘what non-Indigenous people should do’ – this recognition from Land is powerful. When we do the work of educating our allies, there are moments we become acutely aware that they can withdraw their support at any time with few personal consequences. Land comes at this often unspoken tension between allies, friends and collaborators on various activist projects with refreshing clarity. Land and her contributors outline the need for non-Indigenous allies to reconstruct their motivations in line with a conscious and critical political framework, encouraging non-Indigenous allies to be informed about the long history of Indigenous activisms in the southeast, to critically and honestly examine and reconstruct their motivations as activists, and to examine the ‘shape of [their] lives’ in relation to (de)colonisation, rather than simply rehabilitating white identity ‘at the level of discourse’. Land’s book is an important contribution to an emergent ‘non-Indigenous progressive research agenda’ that has at its heart not a desire to ‘help’ Aboriginal people, but to interrogate and challenge a system of oppression that has a broad range of effects. Land equates with this the wider indigenising project undertaken by a range of Indigenous scholars and extended to include the voices of non-Indigenous people. It’s an interesting framing of the contributions of writers such as Land to these issues that relate not only to Indigenous peoples, but also to settler-colonial descendants with an interest in decolonial projects. Decolonizing Solidarity provides an opportunity to reflect on the nature of solidarity work more generally, posing broader questions of involvement and self-interest in solidarity politics and intersectional work for activists. As Indigenous activism, queer and trans struggle, feminist political work, anti-gentrification movements and anti-racist movements in the south eastern parts of Australia become increasingly coalitional – and more complex, interrelated and broad in their aims and engagements – questions about the nature of mutual and productive allyship, and intellectual and practical commitment and service are reframed in ways that will continue to prove necessary and useful for Indigenous and non-Indigenous people alike. Genevieve Grieves is a Worimi woman from New South Wales who has made her home in Kulin country. She is an educator, filmmaker, oral historian, artist and curator. Her most recent project was as Lead Curator of the ‘First Peoples’ exhibition at the Bunjilaka Aboriginal Cultural Centre, Melbourne Museum. She is currently undertaking her PhD at the University of Melbourne. I enjoyed this article despite the fact that it is little more than an extended blurb and does away with Overland’s lack of book reviews. What I find interesting is the way in which there seems to be some sort of Indigenous experience approaching the hegemonic – ‘What is the role of non-Indigenous people in Indigenous affairs? '; ‘How can non-Indigenous people truly be effective allies for Indigenous issues? '; ‘Throughout their lives, non-Indigenous Australians often remain largely ignorant of the history and present realities of Indigenous Australia.’ But for me, the University of Melbourne is a long way from Cheeditha and to yoke these two together through something called ‘Indigeneity’ often occludes the power relations of lived experience. It might be one thing to show solidarity, but why should a demonstration in Melbourne be counted as more important than a daily interaction on country? In other words, what is to be gained by perpetuating these basic identity categories as assumed forms of capital and authenticity rather than calling into question their very foundations? Why can’t someone who works in a remote community (and may happen to be either non-Ngarluma or non-Banjima or non-Yindjibarndi or non-indigenous) speak with, for, against their lived experience because of a reigning paradigm of Indigeneity? In other words ‘Noongar life’ is different from other life and it, in and of itself, might not be a worthwhile category such is the multiplicity of experiences within it. Why should we assume then that Warriors of the Aboriginal Resistance are more appropriate fellow travellers than non-indigenous local nurses, linguists, teachers?